What is it like to live on a residential site? Park homes are becoming an increasingly popular choice of property, especially among people who are retiring or looking to downsize. But residential park homes are also a great choice for individuals, couples, and families who are looking for a more affordable alternative to bricks-and-mortar houses. Living on a park home site does differ from living on a traditional estate in a number of ways, and it's important that you consider this before deciding to move. Here, we'll explain what it's actually like to live on a residential site, so you can make an informed decision about whether the lifestyle is right for you. Read on to learn more. Why might you want to live on a residential park? Living on a park home site appeals to people for a range of different reasons. For many, moving to a residential park means swapping city or suburban life for a quieter one in the countryside. It is also a great option for anyone who would like to become part of a like-minded community they can feel secure in. 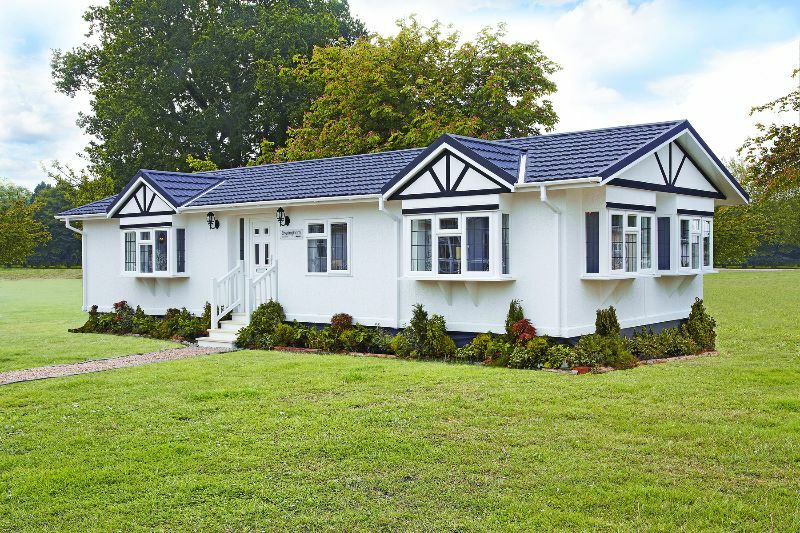 Park homes are particularly popular among the retired and elderly community, as they're typically easier and more affordable to run and maintain than conventional houses. They only have one storey, too, which means they can often be a practical choice for people who have problems with mobility. Additionally, they can be a great option for anyone looking to downsize. You can usually buy them for less than a bricks-and-mortar house, and have one built to your own specifications. So, if you feel like your current house is too big to suit your needs or you're looking to free up some of your home equity, moving into a park home could be the perfect solution. We have a guide to downsizing your homethat should help to make this process easier. Do park homes have community spirit? Yes, most park homes will have a sense of community. Due to the size of most park home sites, they tend to have an "everyone knows everyone" feel to them. You'll have plenty of privacy, as well as the freedom to choose how involved you would like to be, but there will always be lots of things to do and new people to meet if you like to be quite sociable. The community spirit aspect of living on a park home site can be particularly appealing in retirement — especially if you don't live with a partner. Residential sites offer a unique environment where everyone is in a similar boat, and there are usually plenty of opportunities to get out of the house and make new friends. Are park homes safe places? Park homes are typically located on sites that are owned privately or by a local authority. To keep residents and the properties on their sites safe, these owners will usually install security measures such as gates and cameras. This means that park home sites tend to be very secure and safe. Park homes are typically smaller than conventional houses, and they're made using robust, weather-proof materials, which means they tend to be much easier to maintain. However, there are some maintenance tasks specific to park homes that you should be aware of before you move in, and you can learn more about these in our guide to park home maintenance. For example, to ensure the exterior of your home remains weatherproof throughout its lifetime, the outside walls should be coated with a quality exterior finish within two years of purchasing your home, and then recoated every three years after that. You will also need to keep your home's steel chassis in good condition, as well as inspect your roof, skirting, doors, and windows at least once a year. If you think you'll struggle to manage all of this upkeep on your own, or simply want to reduce the workload, you might be interested in our GoldShield Care schemes. We offer a selection of packages, ranging from inspection-only to those that include repairs and even the painting of your park home. These are ideal if you would like help staying on top of things, and provide peace of mind. If you're interested, make sure you read our guide to GoldShield Care schemes for more information. Are there any activities on park home sites? Many park home sites offer their own activities, committees, clubs, and events that residents are welcome to join and take part in. Sometimes these are organised by the owner of the park but, quite often, they're arranged by people within the community. This means, not only would you be welcome to join in with any existing activities, but you could be given the opportunity to set up your own clubs and events as well. The activities and events held on park home sites help to create their community feel. So, if you're looking to build friendships and get out of your home more often, going along to social events is a great idea. What are the costs of living on a residential park? As with any home, living on a residential site will come with its own set of costs, but these can be different to when you live in a bricks-and-mortar house. Here, we'll outline what you should expect to pay for during the time you spend living in a park home. Be sure to read our guide to buying a park home if you would like more information about the initial purchase. When you live in a park home, you own the building, but not the land it sits on. You'll be renting this from the site owner and will have to pay them a pitch fee. This can be changed once a year, but you will need to be given 28 days' notice in writing and, if you and the park owner can't agree on a figure that you both think is reasonable, you can apply to a tribunal. As with any other home, you'll also have to pay for the utilities you use. These will include gas, water, and electricity. You will pay for these through the park owner and, to prevent you from paying over the odds, the Office of the Gas and Electricity Market has put rules in place that mean park owners can only charge you as much as they paid for your energy. With water, they're allowed to add a reasonable administration fee. Park home owners are required to pay council tax, and you should look into how much this is likely to cost before you commit to a purchase. Most park homes fall into council tax Band A, which is the lowest. However, the cost will depend on the location of your park home. It's a good idea to take out a specialist park home insurance policy, which will cater to the risks associated with living on a residential site. Because park homes are made from marine plywood rather than bricks and mortar, they're typically more expensive to insure. Insurance will protect your park home and its contents from accidental damage but, if you encounter any inherent defects in the structure of your home, you'll want to be covered by our GoldShield 10 Year Warranty Scheme. This will be available to you if you purchase a park home from a GoldShield-registered manufacturer, and then have it sited on one of the many parks that are registered with GoldShield. If you would like more information about this, be sure to read our guide to understanding your warranty. What are the practical differences to living in a park home? 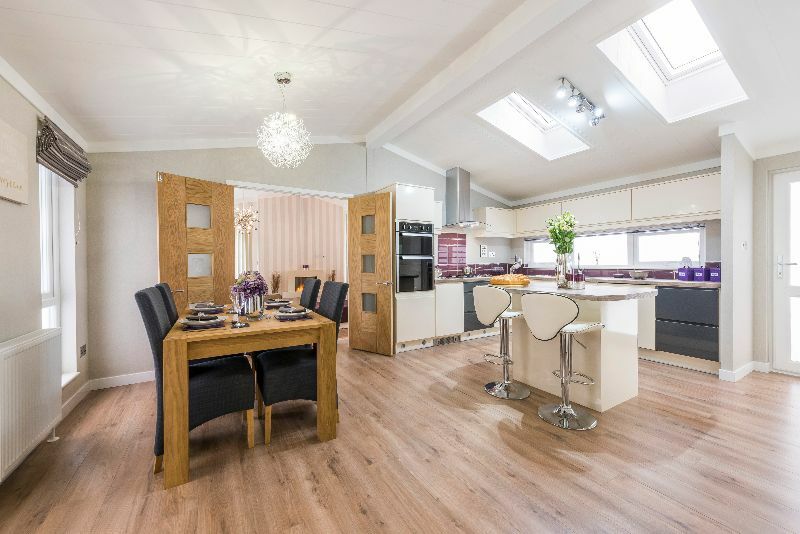 There are differences between the practicalities of living in a conventional house and a park home. For example, some parks have restrictions on the age of their residents, and may even have rules when it comes to pets. Here, we'll explain some of things you need to be prepared for when it comes to living on a residential site. If you're looking to buy a park home that you can live in for all 12 months of the year, you need to do plenty of research, as different laws apply to different kinds of mobile home sites. The licence of a park will state whether it's a holiday site or fully residential. Some locations will also offer both holiday and permanent homes. This means that, when you're buying a park home that you would like to use as a permanent residence, you need to find a residential plot on a protected site. Double and triple check this with a site owner, and get it in writing before making a purchase. Are you allowed children in a park home? Park home sites all come with their own rules: for example, those designed to work as retirement villages will typically have minimum age limits. But, there are plenty of sites that welcome families with children. You just have to do plenty of research and talk to the owners of the parks you're interested in living on, as they'll be able to tell you about any restrictions they have in place. Are you allowed pets in a park home? Again, whether you're allowed to have a pet in your park home will differ from site to site. If you already have a pet, or you know you want to get one in the near future, start your search for a park home site by compiling a list of those in your preferred area that are pet-friendly. Searching for a residential site that suits you perfectly can be overwhelming to begin with as there are so many things to think about, but this will give you a helpful shortlist to work from. How does the weather affect park home living? If park homes aren't maintained properly, they can be particularly vulnerable to adverse weather conditions. To prevent any avoidable damage, you should make sure to coat your home in quality exterior finish every three years, and ensure that your roof, skirting, doors, and windows are always in good condition. This will help to prevent any poor weather conditions from wreaking havoc on the structure of your home. Are park homes energy efficient? Park homes aren't especially energy efficient — especially if you opt to buy an older model second-hand. However, there are a range of things you can do to keep your energy bills down in the long run. If you move into a park home and find that you struggle to keep it warm, you can help to remedy this issue by having its walls, roof, and floor insulated. Of course, there will be an upfront cost, but it should pay for itself in the savings you make on your energy bills. Plus, if you don't have much money to spare, Green Vision Energy has experts who can help you to secure funding for park home insulation, and may be able to help you replace inadequate heaters, too. This is all due to the Affordable Warmth Scheme. The experience of living on a residential site is very different to having a bricks-and-mortar house on a traditional estate. There are plenty of benefits — especially if you're looking to downsize or would like to be part of a secure and like-minded community. 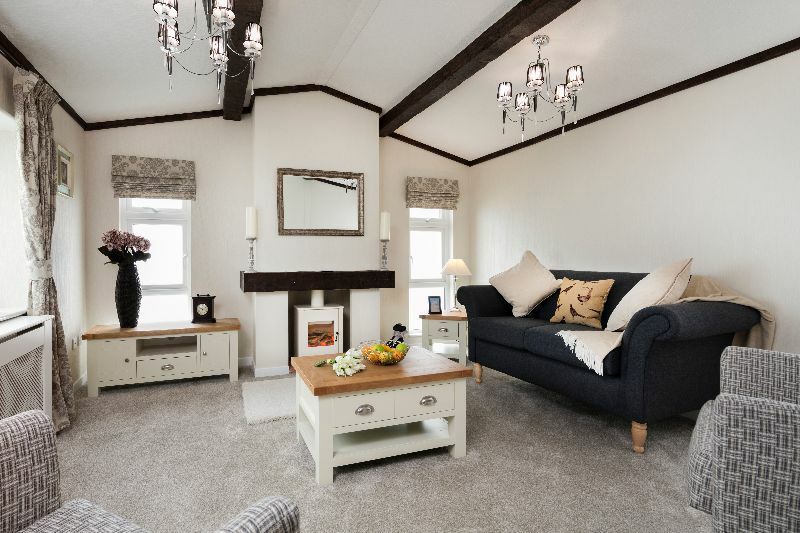 As long as you consider everything we've outlined in this article and do plenty of research by talking to park owners and the residents of sites you visit, you'll be able to make an informed decision about whether the park home lifestyle is right for you.